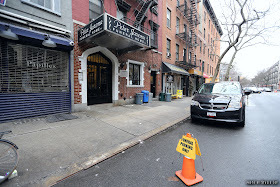 It’s not without some trepidation that I visit the Peter Jarema Funeral Home, 129 E. Seventh St. between Avenue A and First Avenue. 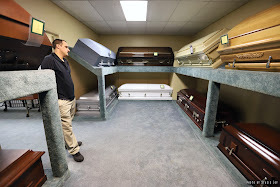 ... and then takes me upstairs to visit the casket showroom. 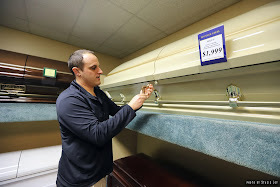 The coffins are surprising in some ways: they have locks on the outside to avoid any “in-transit surprises” and they are very plush and comfortable inside. There are also different materials, colors and styles to choose from. I get to admire some traditional red and gold Ukrainian vestments (the home was historically of service to the Ukrainian Orthodox community but is nondenominational), and Danny patiently answers my questions as we sit in the office. 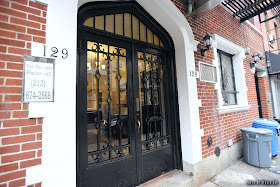 We talk about the history of the place, changes in modern-day loss and bereavement, and what’s next for the home (one of three along with Provenzano Lanza and R.G. Ortiz remaining in the neighborhood). 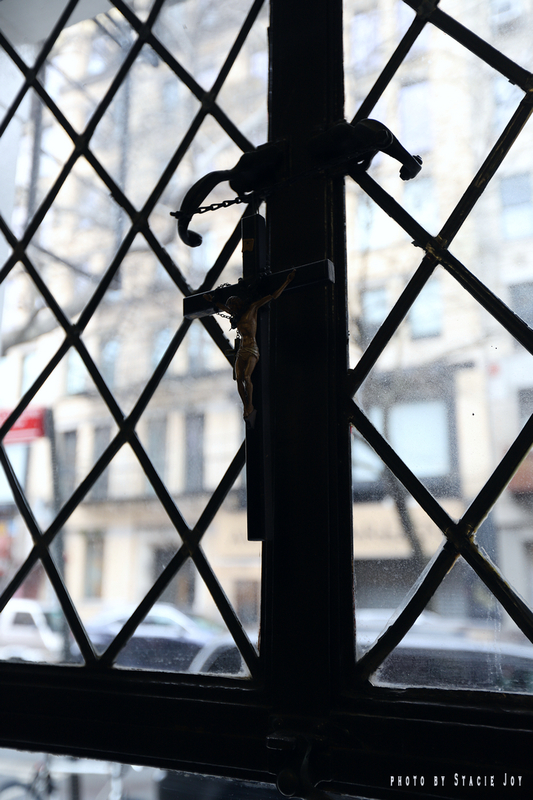 What can you tell us about the founder, Pietro Jarema? I read where he emigrated here from Austria in 1893. Personally, I don’t know much on the history of the original Jaremas as these things weren’t written down and were lost over the generations. The handwritten archive books of Jarema Funeral Home are simply the funeral records themselves and back then — up until recent times really — very little was [legally] required to be kept, so the books themselves are hard to decipher, due to bad handwriting, and there’s also a lot of shorthand/initials that just don’t mean much to me trying to read it now. The interesting part that I can decipher is basically the cost of a funerals from back in the early 1900s compared to now — it’s night and day. Your father became the owner in 1987. Why did you decide to carry on with the business? I am an only child, after finishing my B.A. 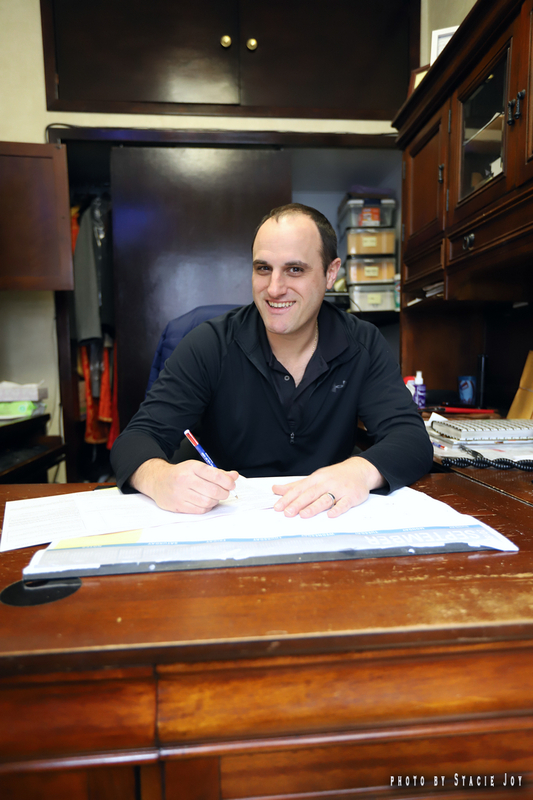 at Binghamton University in accounting and working in a corporate office for nearly two years as an assistant auditor, I didn’t enjoy my job. I saw the opportunity of my father’s partner looking to retire as a better career move. 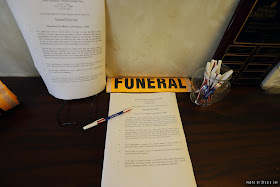 I went to American Academy McAllister Institute to complete my funeral director education and received my license. 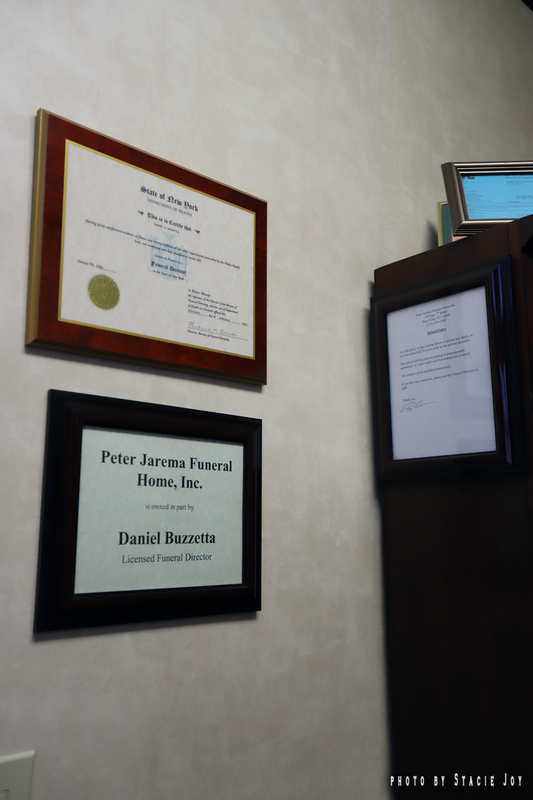 I’ve been the managing director/owner at Peter Jarema Funeral Home for nearly eight years now. How do you handle the emotions of the job? 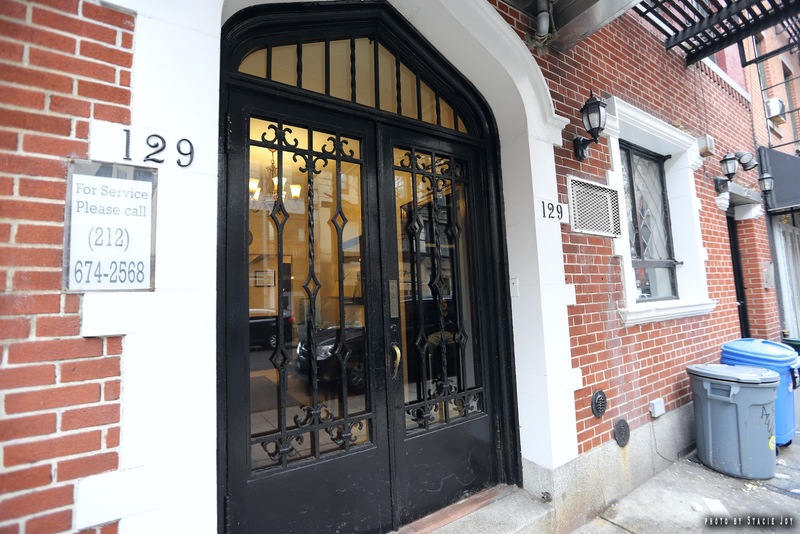 Handling the emotions can be difficult but part of this job is being able to provide caring and detailed-oriented service to the families that we serve. This is best done with my personal emotions not getting the best of me and allowing me to be clearly focused on the family’s needs. What observations do you have about the East Village based on your experiences planning services with residents through the years? 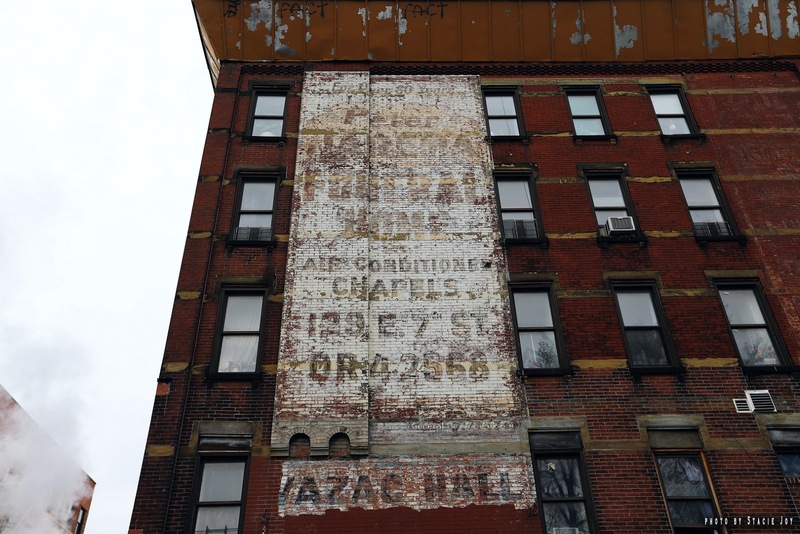 The biggest observation is just how quickly the neighborhood can change. 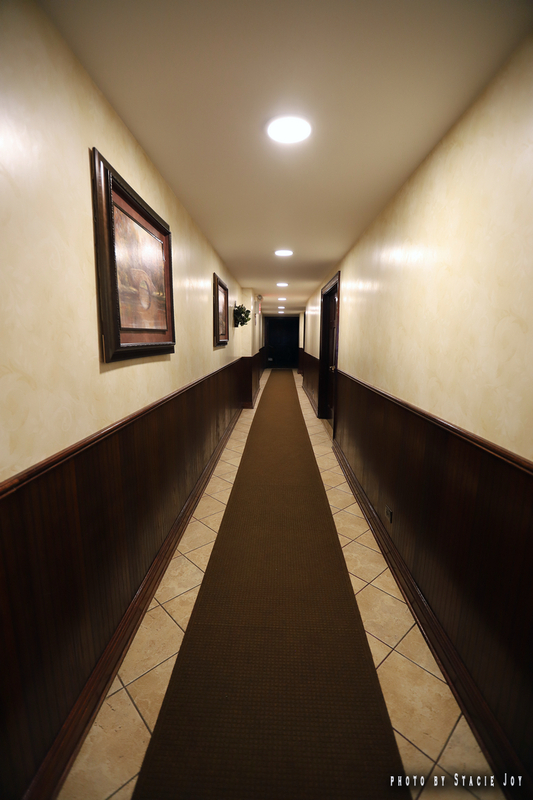 From businesses to residents it feels like both are coming and going at lightening pace. Trying to establish a relationship can be difficult when so quickly that business may be gone or that family may have moved away. How has the typical customer changed over the years? Our typical customers have changed in a few ways. First, many people are moving away from traditional funeral services and are looking for quicker and less-expensive options. As an example: we rarely have two full-day viewings with mass and burial on the third day ... now customers are more likely to have a two-hour viewing in the morning, go to mass, and burial all in the same day. Or forgo the viewing all together and do a cremation in order to help alleviate the costs. 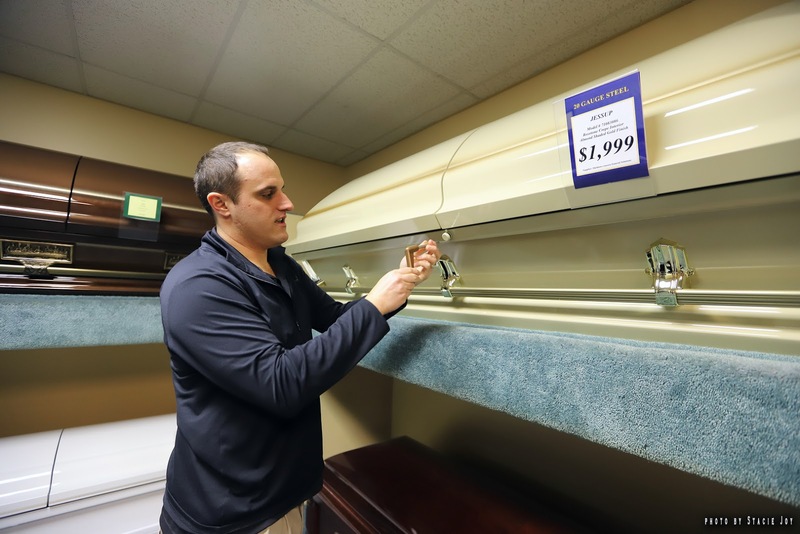 Second, the customer now is much more mobile/tech-savvy to where they will price shop one funeral home to another before they even set foot in the home to make arrangements. 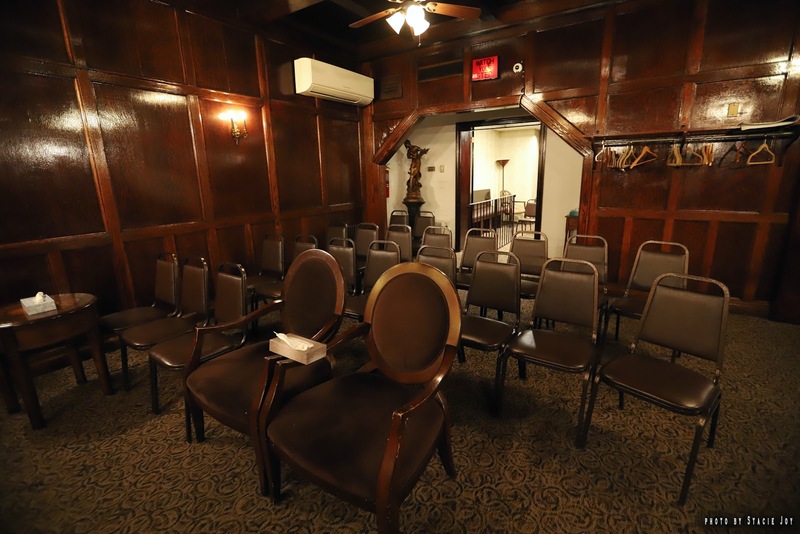 Of course, this goes hand in hand with all aspects of life as the internet and social media didn’t exist for most of the 113 years of Peter Jarema Funeral Home existence. 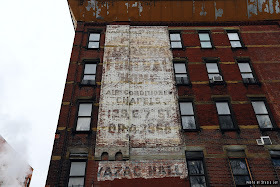 An ad is still visible on the side of Vazac's/the Horseshoe Bar at 108 Avenue B stating, in part, “Air Conditioned Chapels 129 E. 7th St. OR 4-2568.” Do you still receive queries about that? We don’t ever get any inquiries about that old ad. Real estate being what it is in NYC, especially the East Village, what is the long-term future of Peter Jarema Funeral Home? My long-term future for Peter Jarema is to continue providing dignified and affordable services for decades to come. I have two young sons who I would love to pass along the opportunity to continue the family legacy and keep Jarema going for another 113 years. Fascinating. Cool dude and a fellow Binghamton alum. 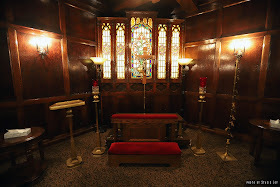 I plan on using their services when my time comes, I remember some gorgeous dark oak Tudor style chairs that I coveted,when I attended funerals of neighbors and friends there.But I think I will follow David Bowie’s excellent example and skip my own funeral with direct cremation. Nice interview. 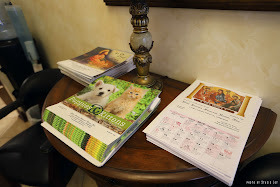 He provides the calendars for my church (the ones with the icons as shown in the photos.) If you take one, be aware that the holidays follow the old Othodox calendar, so for example, Christmas is on January 7. Thank you Mr. Buzzetta! But I think I will follow David Bowie’s excellent example and skip my own funeral with direct cremation. I certainly don't want a funeral; I suspect I'm not going to have any decision-makers left after me, so I may just end up in potter's field. That doesn't particularly bother me, since I won't be around to witness it; what would bother me more would be to have someone spend money on a funeral that no one attended. Bonnie Parker : [Turned around in the car to face the back seat, to Eugene, loudly and mirthfully] Hey, whaddya do, anyhow? Eugene Grizzard (played by Gene Wilder): I'm an undertaker. Bonnie Parker : [Turning back to the front, to Clyde, quietly and with a deadly look] Get them out of here. My grandmother was laid out here in the early 80s, as my family were parishioners at St. Stans a few doors down. 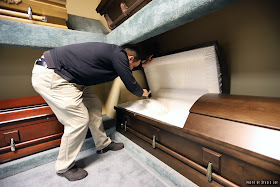 Back then they took photos of the flower arrangements, even in the casket, and gave them to the family as a memory. They're literally chromes, the raw film, cut and placed in an elegant card.